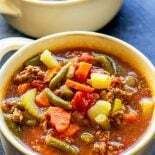 Savory and hearty hamburger soup made with potatoes, carrots, and other veggies is the ideal comfort food for all year long. Great as an appetizer, side, or dinner, and it freezes well, too. No matter the time of year, nothing beats the comfort of a big bowl of warm soup. It’s my go-to remedy for a bad day, a bad cold, or a bad… well, anything. When food is one of the epic loves in your life, a dose of quality eats can really turn things around. And for me, this hamburger soup always goes the extra mile in righting all the wrongs in my day. Between the savory beef flavor to the tender veggies to how easy it is to customize, it’s one of the few dishes that I look forward to making. Not that I don’t like cooking, of course, but sometimes you don’t want to have to fight for your dinner. Sometimes you’ve had a rough day and just want an easy win. And an easy win is definitely what this beef soup is. What else can you add to hamburger soup? Cabbage. Add one or two cups of chopped cabbage at the same time you add the beef broth. Corn. 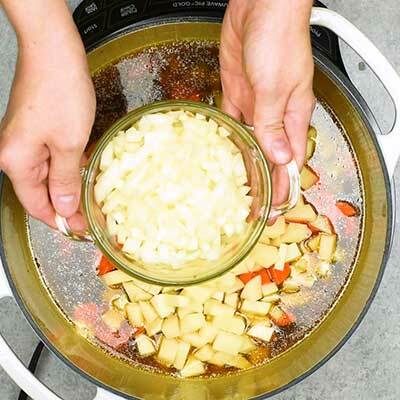 Add one cup fresh or frozen corn at the same time as the beef broth. Beans. Add one can (14.5 oz or so) beans of your choice, drained, at the same time as the beef broth. Other types of onion. This recipe uses yellow onion, but you could also use white, red, or sweet instead. By design, this soup will have a very thin and flavorful broth. However, it’s easy to thicken this soup if you’d like a creamier texture. To do this, create a slurry by scooping out two tablespoons of hot soup broth, transferring it to a small bowl, and whisking in one tablespoon of cornstarch or flour (I tend to like the taste of cornstarch better, but straight flour is more effective for thickening). Pour the slurry back into the soup and stir well for a few minutes. If needed, continue creating slurry and mixing it back in until the soup reaches the creaminess you’re going for. How long is beef soup good for in the fridge? Once prepared, hamburger soup can last in the refrigerator in a sealed container for three to four days. Can you freeze hamburger soup? What to serve with hamburger soup? Chips. There’s been plenty of times that we’ve actually eaten a thickened soup dip style with some oven baked tortilla chips. 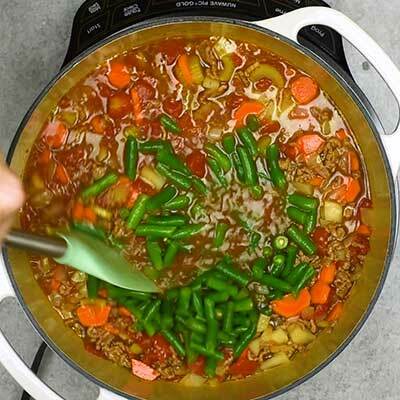 This soup is made using a dutch oven. There are plenty of pricey name-brand options out there, but I’ve used this Dutch oven for years and it’s still holding up just fine. Step 1 – In a dutch oven (or similar deep pot), brown and crumble the ground beef, then drain all the grease. Place the cooked meat back in the pot. 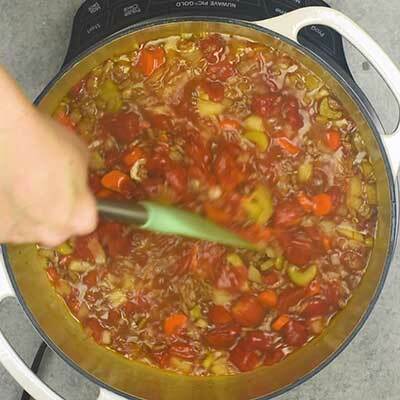 Step 2 – Add the beef broth, diced tomatoes, carrots, potatoes, yellow onion, celery, salt, pepper, and dried oregano to the pot, then give it a quick stir. Bring to a simmer, then cover the pot to cook. 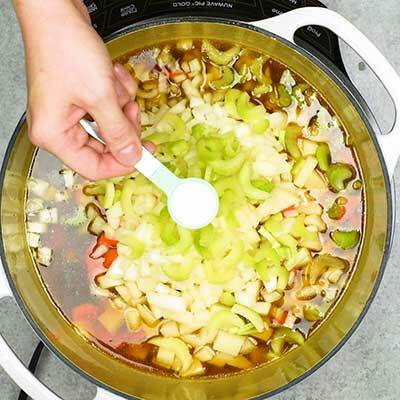 Step 3 – Remove the lid and give the soup a quick stir. Add the green beans, stir again, and then cover. Step 4 – Cook until everything is tender. In a Dutch oven (or similar pot) over medium heat, cook and crumble ground beef. 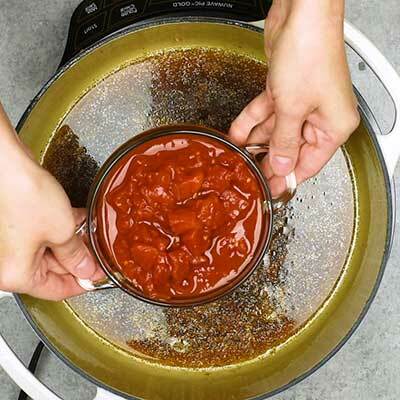 Drain excess grease, then return meat to pot. 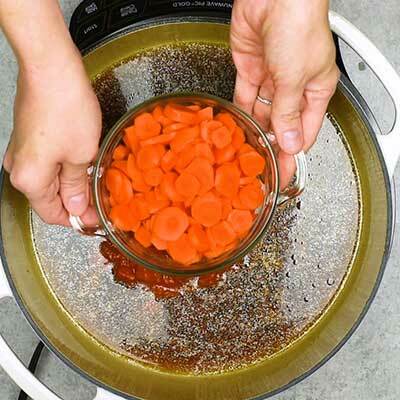 Add beef broth, tomatoes, carrots, potatoes, onion, celery, salt, pepper, and dried oregano to the pot, then stir. Bring to a boil, then reduce heat to simmer. 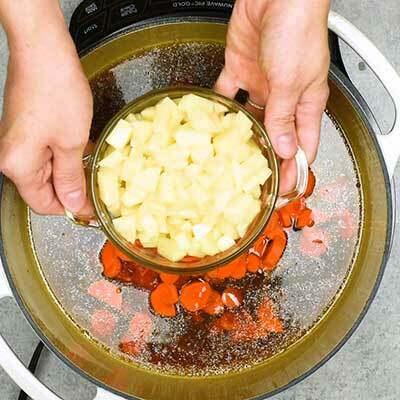 Cover and cook for 15 minutes or until potatoes and carrots are tender. 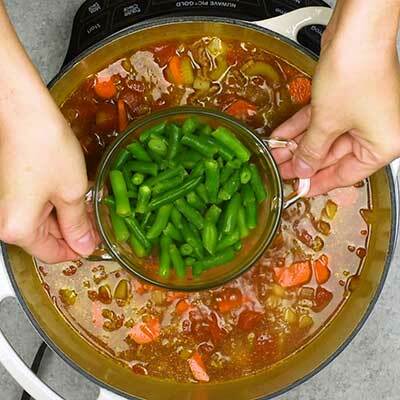 Remove lid and add green beans to pot, then stir. If needed, allow broth to come to a boil again. 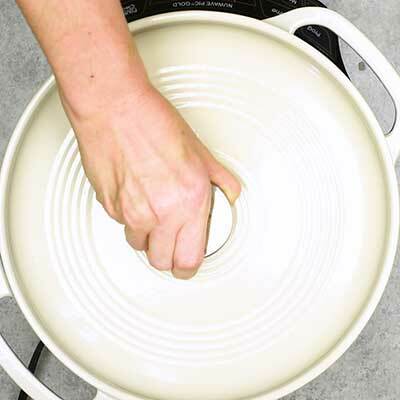 When I try to look at the soup bowls, it takes me to a Dutch Oven on Amazon. Showing a recipe for printing that has a black background with white letters is hard on the toner in the printer. Not printer friendly.